That would be how much zucchini I harvested Saturday morning. I wrote the other day about zucchini recipes. Now, we need to add a new one to the list. 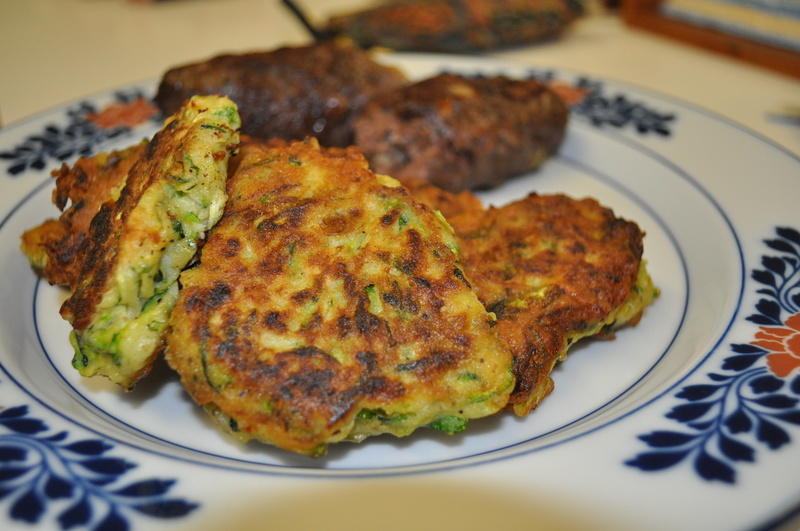 Zucchini Fritters. Recipe courtesy of Smitten Kitchen. Although I did modify it a bit. I used shallots and baby leeks instead of scallions. I did make them as recommended in my cast iron skillet. 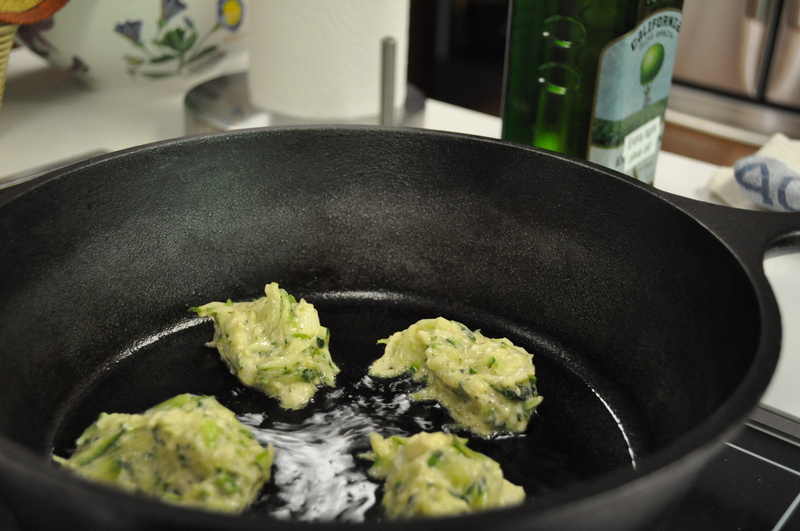 The recipe yielded a dozen tiny fritters. Perfect with kofta. A completely local meal. Lamb from England Acres. Onions from my garden. Zucchini and shallots from the garden. Egg from Miller Farms in Clinton. Tzatziki from my cucumbers, mint, dill and Pequea Valley yogurt. One of Breaux’s stars. 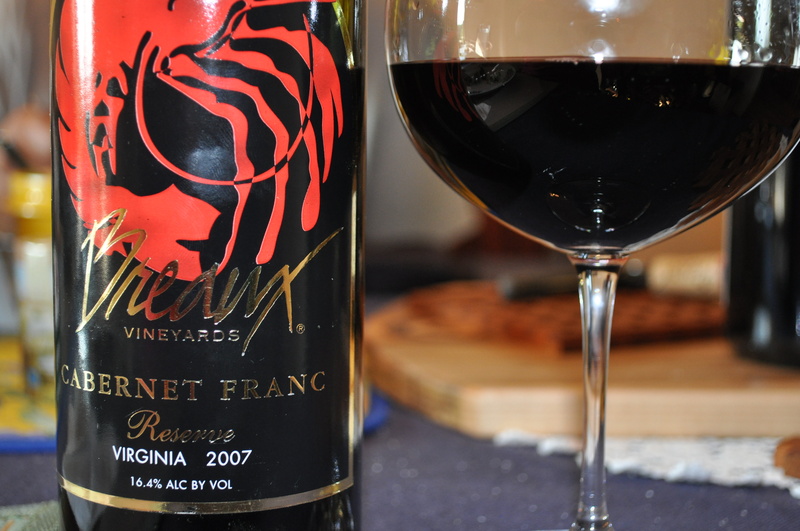 A 2007 Reserve Cabernet Franc. Lots of alcohol though. 16.4%. Big wine. Stood up to the kofta. So far, I am beating those zucchini. But barely. I did put away two packages of shredded zucchini in the freezer. Saving for a cold winter’s day to make bread. Posted in Food, Gardening, Local Businesses, Locavore, Real Food, Wine and tagged Food, foodie, gardening, local businesses, Locavore, VA wine, wine. Bookmark the permalink. 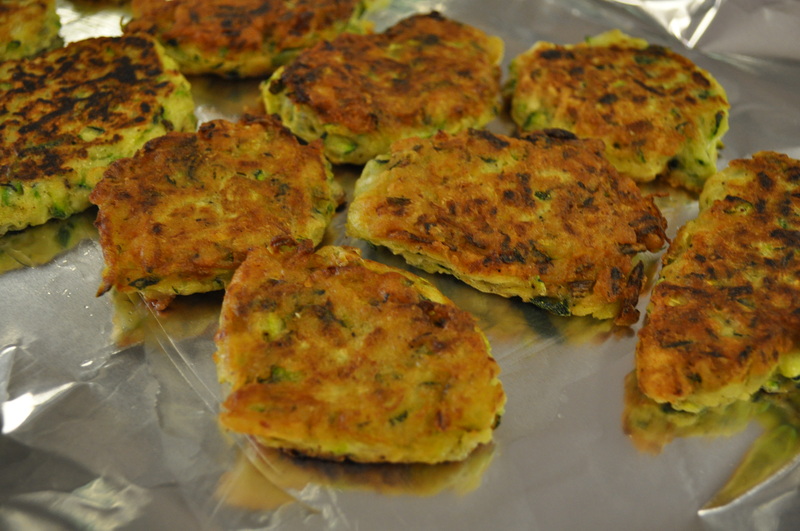 The zucchini fritters look really good! 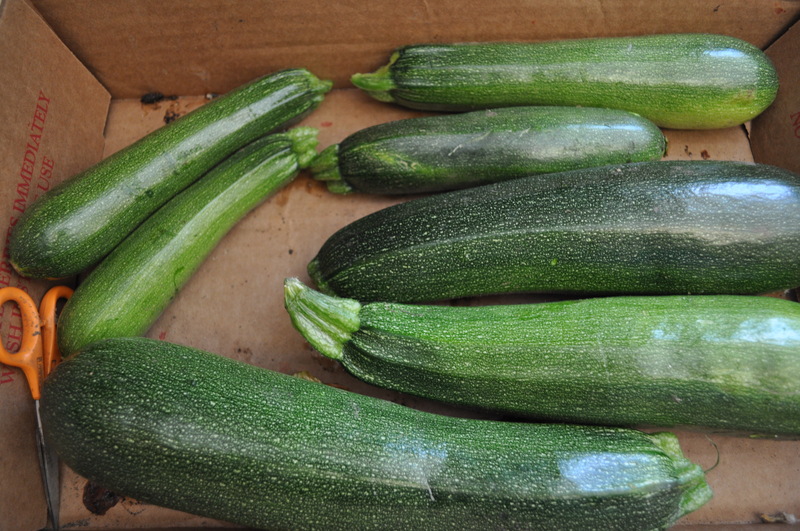 I’m afraid I lost the zucchini battle, but I won’t need to leave any in unlocked cars, as one of my husband’s coworkers makes zoodles all the time and wants all the zucchini we can give her. The fritters were delicious. I made them again last night. I am also thinking of the recommendation to make enough to freeze. But, so far, we keep eating the whole batch.